It was Marcel Proust who wrote that "while drinking a bottle of Veuve Clicquot Champagne, I could feel happiness penetrating my whole existence." On Site Lifestyle can now offer you this wonderful experience - to understand and savour the delicate and painstaking process of champagne production, to gain a unique insight from Master Winemakers and to enjoy the quality of the different champagnes over a gourmet luncheon set within the Champagne vineyards. There is a choice of accommodation from the memorable Chateau Les Crayeres, only a few metres from the Veuve Clicquot Ponsardin centre, to other comfortable, central hotels. Day 1: Arrive Reims and check-in to the Chateau Les Crayeres. Champagne Gourmet Dinner as below. 10:00 Arrival at the Veuve Clicquot Ponsardin centre located in the heart of Reims. Welcome followed by a private guided tour of the centre explaining the history of Veuve Clicquot. 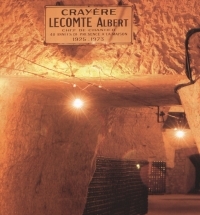 You will also visit the Gallo-Roman cellars which lie 25 metres under Reims and stretch for many, many kilometres. There will also be an exclusive visit to the Veuve Clicquot Champagne vineyards. 11:30 Departure to the charming, private Manoir de Verzy, located in the heart of the Champagne vineyards. This house is a former residence of the family and with the vines within reach, you could easily feel that you are a part of the Clicquot-Ponsardin heritage. 12:15 Apertifs will be taken in the garden of the Manoir de Verzy, sampling the delicacies of La Grande Dame, the prestige cuvee of Veuve Clicquot-Ponsardin. 12:45 A wonderful three course luncheon will be served, inclusive of three different vintage wines, mineral water and coffee, hosted by a senior Winemaker from the Clicquot House. Further fascinating insight will be gained through their knowledge and anecdotes. There are only a handful if senior Winemakers and it takes a minimum of 10 years to attain such a position. 15:00 The visit to the Manoir de Verzy draws to a close and you will be transported back to the Clicquot centre in Reims. Due to the exclusivity of this tour, numbers of restricted to a maximum of 12 and only two tour dates are available per month. Tours operate on Friday or Saturday only. For groups numbering less than 6, we can organise other, similar tours. Further optional cultural visits may be planned, such as a visit to the Car & Motorbike Museum, the Chateau Boursault (built for the widow of Veuve Clicquot) or a participant activity such as golf or ballooning for example. Alternatively, the venue may be combined with a meeting or conference. Les Crayeres is a wonderfully elegant turn of the century residence set in English style parkland. Blending tradition, comfort and refinement, Les Crayeres is a luxurious retreat where guests can relax in 19 sumptuous rooms and savour superb gourmet cuisine and an incredibly impressive wine list. 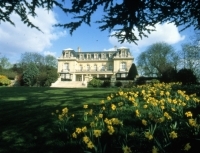 The Chateau Les Crayeres is frequently voted as one of the best hotels in the world. 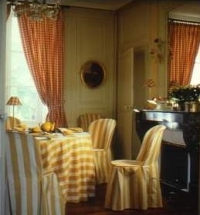 Other Chateau properties - comfortable, historic but of less comfort - are available in the area - please ask for details.